The operation lays bare the gaps in the US sanctions, which are designed to starve Assad and his allies in Iran's Revolutionary Guard and the Hezbollah militia of the men and materiel they need to wage their military campaign. MOSCOW/KIEV: In a corner of the departures area at Rostov airport in southern Russia, a group of about 130 men, many of them carrying overstuffed military-style rucksacks, lined up at four check-in desks beneath screens that showed no flight number or destination. When a Reuters reporter asked the men about their destination, one said: “We signed a piece of paper – we’re not allowed to say anything. Any minute the boss will come and we’ll get into trouble. The men were private Russian military contractors, the latest human cargo in a secretive airlift using civilian planes to ferry military support to Syrian President Bashar al-Assad in his six-year fight against rebels, a Reuters investigation of the logistical network behind Assad’s forces has uncovered. The Airbus they flew on was just one of dozens of aircraft that once belonged to mainstream European and US aviation companies, then were passed through a web of intermediary companies and offshore firms to Middle Eastern airlines subject to US sanctions – moves that Washington alleges are helping Syria bypass the sanctions. The flights in and out of Rostov, which no organisation has previously documented, are operated by Cham Wings, a Syrian airline hit with US sanctions in 2016 for allegedly transporting pro-Assad fighters to Syria and helping Syrian military intelligence transport weapons and equipment. 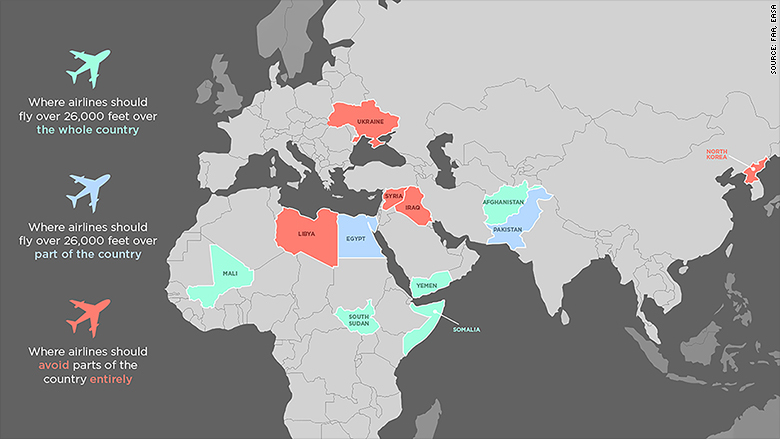 The flights, which almost always land late at night, don’t appear in any airport or airline timetables, and fly in from either Damascus or Latakia, a Syrian city where Russia has a military base. The operation lays bare the gaps in the US sanctions, which are designed to starve Assad and his allies in Iran’s Revolutionary Guard and the Hezbollah militia of the men and materiel they need to wage their military campaign. Reuters reporters staked out the Rostov airport, logged the unusual flights using publicly available flight-tracking data, searched aircraft ownership registries and conducted dozens of interviews, including a meeting at a fashionable restaurant with a former Soviet marine major on a US government blacklist. Forty-four regular Russian service personnel have died in Syria since the start of the operation there in September 2015, Russian authorities have said. This number does not include 39 Russian service personnel who died in a non-combat plane crash in Latakia on March 6. A Reuters tally based on accounts from families and friends of the dead and local officials suggests that at least 40 contractors were killed between January and August 2017 alone. One of the companies, Khors, and the former marine major, Sergei Tomchani, have been on a US Commerce Department blacklist since 2011 for allegedly exporting aircraft to Iran and Syria without obtaining licences from Washington. In September, the US Treasury Department added Khors and Dart to its sanctions blacklist, saying they were helping sanctioned airlines procure US-made aircraft. Khors and Dart, as well as Tomchani, have denied any wrongdoing related to supplying planes to sanctioned entities. The ownership histories of some of the aircraft tracked by Reuters showed how the US restrictions on supplies to Iranian and Syrian airlines may be skirted. 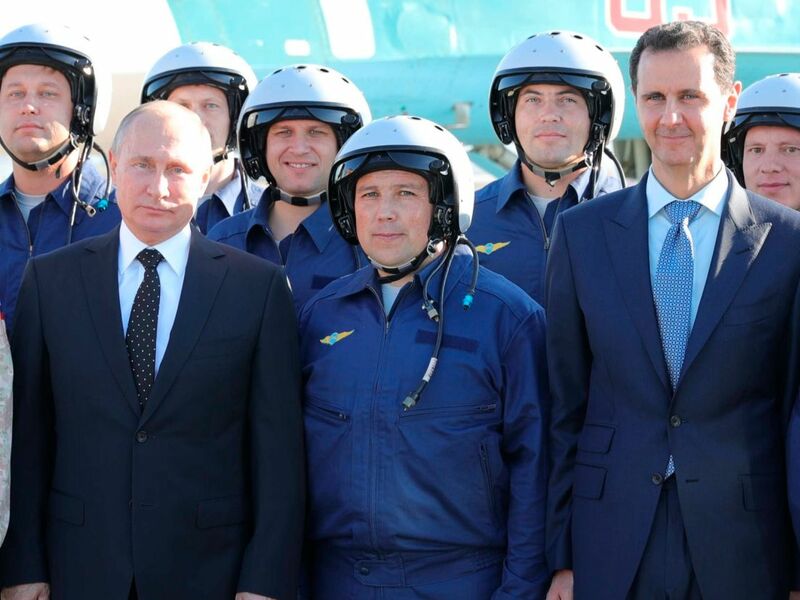 As the ownership skips from one country to the next, the complex paper trail masks the identity of those involved in Syria’s procurement of the planes. One of the Cham Wings Airbus A320 jets that has made the Rostov-Syria trip was, according to the Irish aircraft register, once owned by ILFC Ireland Limited, a subsidiary of Dublin-based AerCap, one of the world’s biggest aircraft-leasing firms. In January 2015, the aircraft was removed from the Irish register, said a spokesman for the Irish Aviation Authority, which administers the register. For the next two months, the aircraft, which carried the identification number EI-DXY, vanished from national registers before showing up on the aircraft register in Ukraine. In March 2015, Gresham leased EI-DXY to Dart, according to the Ukrainian aircraft register. The identification number was changed to a Ukrainian number, UR-CNU. On Aug. 20, 2015, Khors became the aircraft’s operator, the register showed. Four lawyers specialising in US export rules say that transactions involving aircraft that end up in Iran or Syria carry significant risks for Western companies supplying the planes or equipment. Even if they had no direct dealings with a sanctioned entity, the companies supplying the aircraft can face penalties or restrictions imposed by the US government, the lawyers said. Two of the lawyers, including Edward J. Krauland, who leads the international regulation and compliance group at law firm Steptoe & Johnson, said US export rules apply explicitly to Boeing aircraft because they’re made in the United States. But they can also apply to Airbus jets because, in many cases, a substantial percentage of the components is of US origin. Tomchani used to serve in a marine unit of the Soviet armed forces in Vladivostok, on Russia’s Pacific coast. In 1991, after quitting the military with the rank of major, he set up Khors along with two other officers in his unit. Tomchani and his partners made a living by flying Soviet-built aircraft, sold off cheap after the collapse of the Soviet Union, in war zones. Khors flew cargoes in Angola for the Angolan government and Defence Ministry and aid agencies during its civil war. Tomchani said his companies also operated flights in Iraq after the US-led invasion in 2003, transporting private security contractors. Ukraine’s register of business ownership showed that Tomchani ceased to be a shareholder in Khors after June 2010 and that he gave up his interest in Dart at some point after April 2011. He told Reuters he sold his stakes to “major businessmen,” but declined to name them. He did say, however, that the people listed at the time of the interview in Ukraine’s business register as the owners of the two companies were merely proxies. One of the owners in the register was a mid-ranking Khors executive, one was an 81-year-old accountant for several Kiev firms, and another was someone with the same name and address as a librarian from Melitopol in southeast Ukraine. According to the business register, the owner of 25 percent in Khors is someone called Vladimir Suchkov. The address listed for him in the register is No. 33, Elektrikov Street, Kiev. That’s the same address as the one listed in Ukrainian government procurement documents for military unit No. A0515, which comes under the command of the Ukrainian Defence Ministry’s Main Intelligence Directorate. Reuters was unable to contact Suchkov. A telephone number listed for him was out of service. The Ukrainian Intelligence Directorate’s acting head, Alexei Bakumenko, told Reuters that Suchkov doesn’t work there. On Jan. 9 this year, Dart changed its name to Alanna, and listed a new address and founders, according to the Ukrainian business register. On March 1, a new company, Alanna Air, took over Alanna’s assets and liabilities, the register showed. Interviews with relatives of contractors killed in Syria also indicate the A320 flights to Rostov are used to transport Russian military contractors. The widow of one contractor killed in Syria said the last time she spoke to her husband by phone was on Jan. 21 last year – the same day, according to flight-tracking data, that a Cham Wings charter flew to Syria. “He called on the evening of the 21st … There were men talking and the sound of walkie-talkies. And by the 22nd he was already not reachable. Only text messages were reaching him,” said the woman, who had previously visited her husband at a training camp for the contractors in southern Russia.